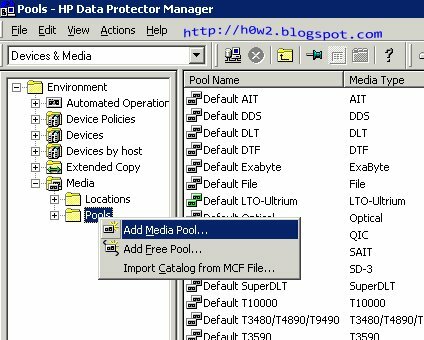 Architecture of HP Data Protector Backup and Restore based on the concept of Cell. Cell is a network environment, consisting of the Cell Manager, client backup, backup device and the Graphical User Interface (GUI). 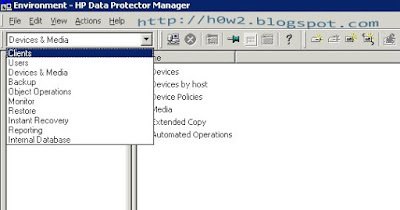 Cell Manager is a computer where the Data Protector software installed that serves as a central control point of the backup-restore environment. 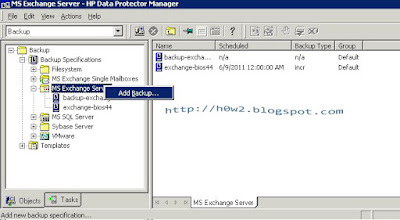 Clients are computers that have installed Data Protector software agent, which is the source of data that will be the backup. Device is a device where the backup data will be stored in the backup media. 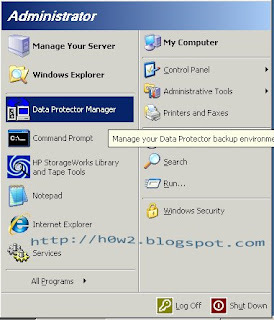 GUI is a Graphical User Interface that is used by administrators to configure the backup-restore, manage backup media, backup data, restore data. In one neighborhood Cell may have only one (1) Cell Manager, but allowed to have more than one installation GUI, more than one Device Backup Tape and more than one client to be backed up, limited by the number of licenses installed. 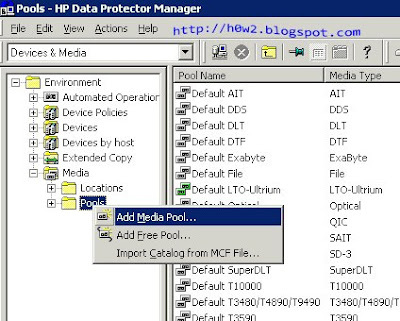 The Cell Manager is a backup server with IP address 172.16.111.254 192 168 111 254 or equipped as well with HP Data Protector GUI and fiber channel connection to the HP Autoloader Tape Backup Device 1/8. Server implemented as a virtual backup server on Vmware hypervisor-based server ESXi. Device backups using HP Autoloader 1/8 which has 8 cartridge slots and 1 Tape Drive with fiber channel connections are equipped with a robotic media changer. Media LTO cartridge 5 with a capacity of 1.6 TB stored in each slot, so that a device HP Autoloader 1/8 has 8 Catridge 1.6 TB. Each media cartridge can be used to backup data with a maximum capacity of 3.2 TB compressed. Alternately media cartridge is taken by the robotic media changer to be used to backup data on the Tape Drive. 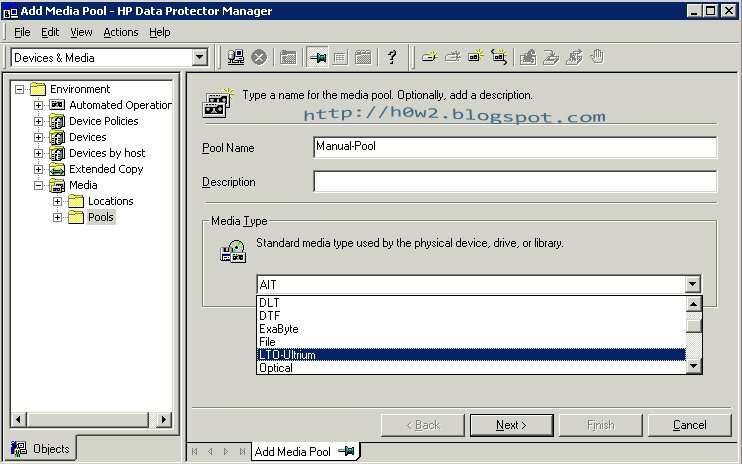 Cell Manager is connected to the network through network interface card, through this network, Cell Manager can backup other data servers that have installed the HP Data Protector backup agent. In order for Cell Manager can backup the servers in the network, each server must be installed the HP Data Protector Backup Agent. There are two types of Backup Agent, Disk Agent is used for backing up data at the level of file system, and the Application Agent to backup data at the application level for example to backup application data exchange and application SQL backup agent is required at the application level. Backup strategy that is used to backup data on servers is to do a full backup for all servers on every Saturday and do an incremental backup on every Monday through Friday. The process of data backup either a full backup or incremental backup is done unattended (automated, no operator intervention) and scheduled. Taking into account the capacity of data that must be backed up then it needs to do a full backup of all servers used 2 data cartridge LTO media 5 total carrying capacity is of 3.2 TB and a media cartridge LTO 5 for incremental backups with append mode backup 1.6 TB capacity , so in one week is required at least 3 pieces of cartridge. In the implementation used 4 pieces of LTO tape cartridge 5 which is stored in the slot 1 to slot 4 on the magazine HP Autoloader 1 / 8, 1 LTO tape media cartridge 5 is prepared when the incremental backups require additional capacity, are still available 4 empty slots that can be used for manual backup process. 4. Type the name of the Host Agent Client that already installed the Backup then click Finish. 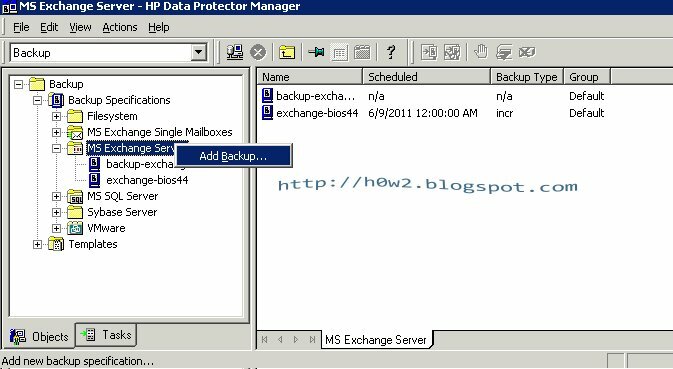 For example to backup Exchange application data, select Backup -->Backup Specification --> MS Exchange Server, and then right click and choose Add Backup.